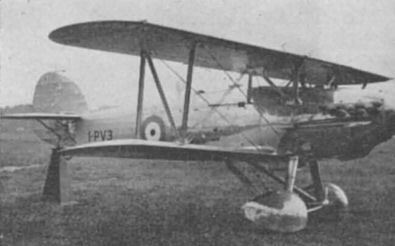 One of Recent British Fighters: Hawker P.V.3 (F.7/30). I-PV3 had obvious relationship to the Fury, was private venture to specification F.7/30 for a four-gun fighter. Flew on 15th June 1934 with 695-h.p. 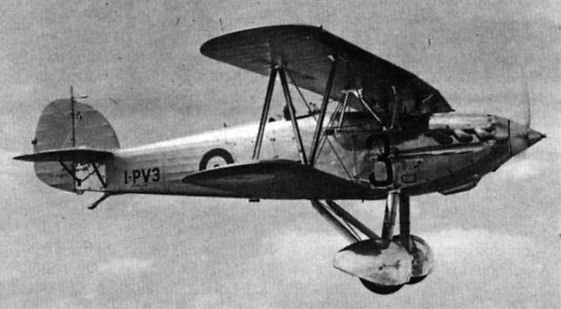 Goshawk III, spanned 34 ft., did 224 m.p.h. at 14,000 ft. at 4,760 lb. loaded weight. 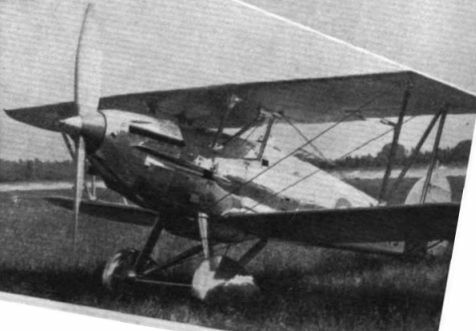 Later re-engined with Goshawk B.41 (705 h.p., no wing condensers) which boosted performance to 232 m.p.h. at 15,500 ft. at 4,550 lb. loaded weight. Hawker Day and Night Fighter (Rolls-Royce "Goshawk" engine).